​What is Drawing Good For? The Directors of TtD and Brew Drawing would like to extend our heartfelt thanks to all the delegates and to the TtD and Brew Crews for their professional support with logistics, AV etc. - So many early starts, driving into London to beat the rush hour traffic! Special thanks to Emily for live streaming of workshops and presentations - recordings of most of them are available here. 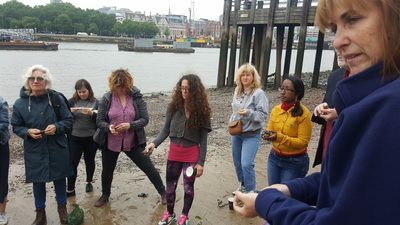 The event began with a Mudlarking session on the nearby Thames beach, led by Emma Fält and Michael Moore. ​Drawings begin with dots which become lines, shapes, forms, and images that connect with us, made from the inside out. The drawings leave a trail for others to follow from the outside in. The life of lines and the rhythms of the hand can provide drawings with a feeling of being more than the sum of its parts. The liveliness of a single line justifies its being, and a bundle of lively lines have their own story to tell in advance of whatever else they appear to be. Intensity of feeling can be realized through intensity of form. Actions precede observation, observation precedes reflection, and reflection stimulates imagination, identification, interpretation, and meaning. Drawing is Thinking. Having internalized a lifetime of worldly experiences, we can revisit them through drawing, drawing them out from within ourselves, watching the images emerge from the confluence of dots, lines, and shapes. The life of the drawing belongs to the person who made it, but the original dot and the final form belong to everyone. 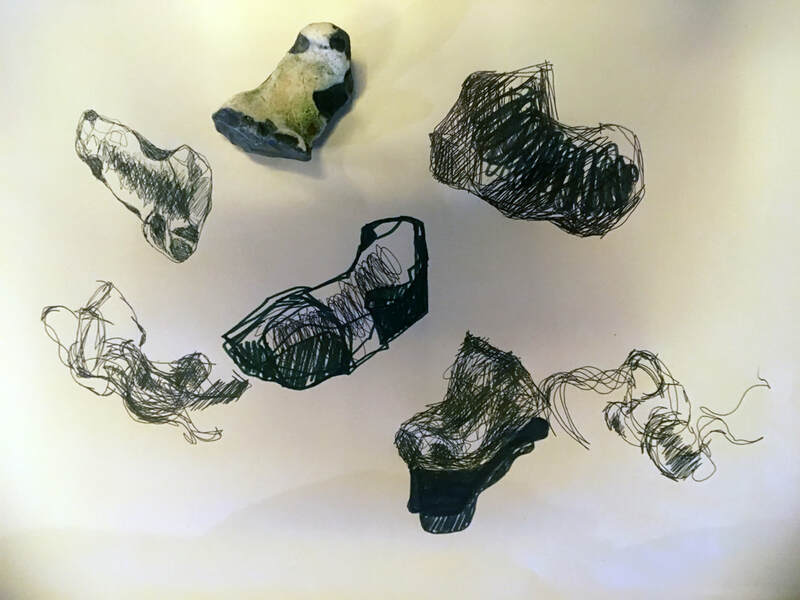 Using any variety of tools, participants will be asked to hold and observe a rock, and to draw that rock from the inside to the outside, gradually configuring random, graphic actions toward the external, visual physicality of the rock itself. Why? When we begin with the act of drawing, as drawing, as the craft of drawing, within the language of drawing, world-wide, drawing can be reveal images that integrate with the random linear behavior from which they come, so that liveliness and appearance, life and looks, are drawn together. When the first mark is made the drawing-surface begins its participation. The images that emerge are revealed through, and live within, the relationship between inside and outside, as imagined, remembered, and experienced, from absence to presence, through the activity of drawing. excerpt from “As Real as it Gets” by Joshua Rothman in The New Yorker; April 2, 2018. What else does the infinite consist of other than the incalculability of little dots? “Little Dots” by Kay Ryan in Erratic Facts, Grove Press, 2015. What gravel and weeds are for. And starts to act big. When I’m talking nonsense to you. "Smelling a Stone in the Middle of Winter" by Tom Hennen in Darkness Sticks to Everything; Copper Canyon Press, 2013. Yet stones are deep in admiration. 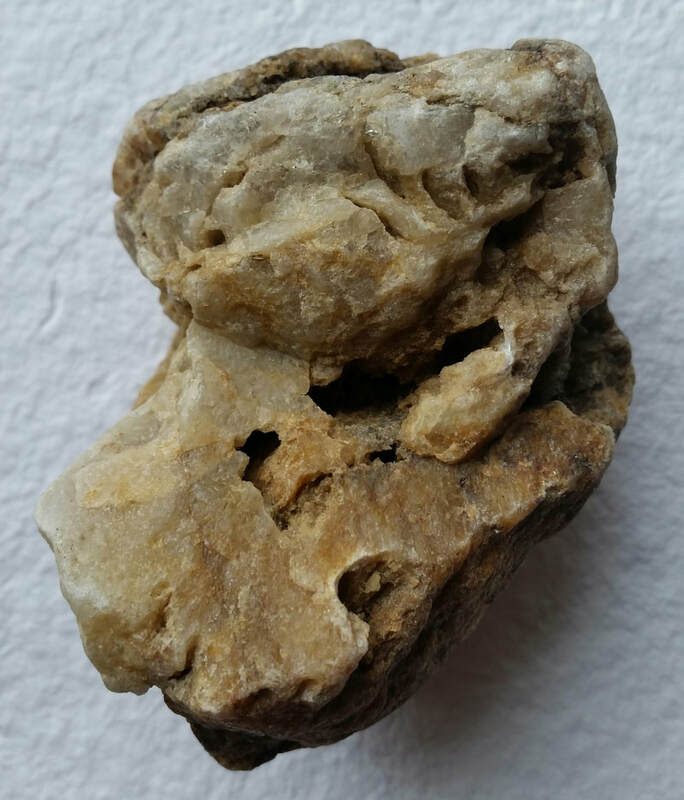 So we admit stones to our holy communion: so the stones may admit us to theirs. Excerpt from Late in the Day by Ursula K. Le Guin; PM Press, 2016. Please send us your memories, feedback, photos or scans of your drawings, to brewdrawing@gmail.com and we will include it in this review. 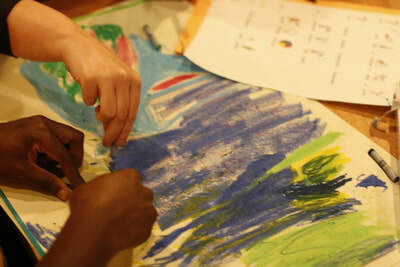 The Camberwell Incredibles are an arts group of adults with learning differences supported by artist educators. Within our group there is a wide range of levels of cognitive ability and complex needs, most are on the autistic spectrum, and one or two are almost nonverbal. We meet twice a week at Cambridge House, a charity that specialises in socially engaged projects that work to combat poverty in south London. The Camberwell Incredibles produce powerful artwork and regularly hold art exhibitions and stage public performances. We were keen to share the energy and passion that we all have for drawing. Despite enjoying meeting new people, the experience of being in an unfamiliar chaotic environment can be overwhelming for most of the group and lead to them becoming withdrawn and unsure how to behave. Drawing can provide clear points of focus through structured familiar activity allowing everyone to feel comfortable in an alien environment. A series of simple interactive activities was set up to enable symposium participants to engage with the individual members of the group on a one to one basis. Our workshop was organised as a series of different drawing games, tailored to each of the group's specific talents and interests, which visitors were encouraged to play. Where extra support was needed one of our facilitators was on hand offering guidance to both parties. Each game was different, and to save repeating the rules of engagement, written instructions were provided introducing you to the group member which explained exactly what the activity was and what was required of you. These instructions were also written in the specialist hieroglyphics the group uses (Symwriter widgits) as most are unable to read conventionally. Symposium participants were asked to spend about five minutes interacting with each member of the group. As always events like this are seriously meaningful for our group, where they are recognised as having something important to offer others and where their natural exuberance and lust for life is celebrated. They all really enjoyed the experience. Artists who create work concerned with memory and the past do not necessarily use the form of a memorial or commemorative gesture. Focusing on artists whose work addresses themes relating to place, the purpose of this presentation is to broaden and deepen the current discussion about the subject of remembrance through drawing. The workshop thereafter explored how drawing can be used to record information, in order to engage more intimately with place. 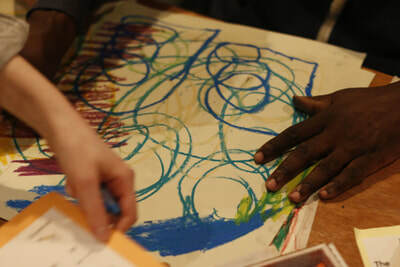 Participants shared their own stories and personal history through a guided drawing exercise. For John Dewey, acquisition of knowledge and creativity both involve experiential processes of doing and undergoing the consequences of one’s action. In drawing, these processes may be most evident in the immediacy of gesture drawing. This 20-minute workshop looks at the power of gesture to engage and integrate cognitive, affective, and sensory-motor faculties in observational and imaginative drawing. Toward these ends, I will introduce ‘blind’ and ‘sighted’ gesture drawing not only as warm up exercises, but as ways to make sense of complicated subject matter, challenging concepts, and composition. So conceived, gesture drawing is, in Kimon Nicolaides’ terminology, both a truly ‘natural way to draw,’ and a ‘natural way to create:’ the first inviting sensitive and accurate perception through seeing and responding; the second allowing the development of ideas through fluency, flexibility, originality, and elaboration. 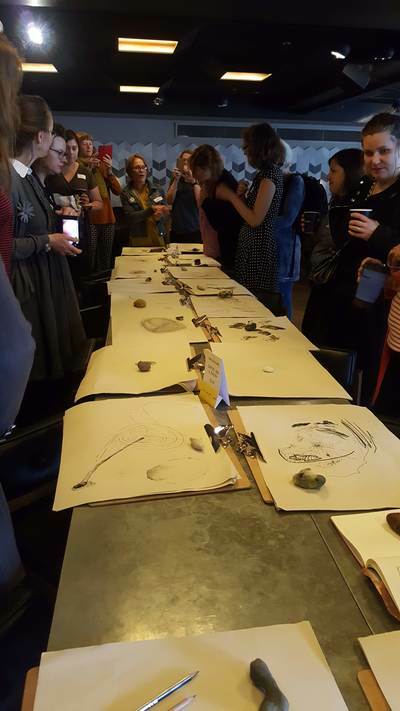 ​This workshop engaged the symposium participants in an anatomy-based drawing process that teaches drawers how to recognize, relate to, and represent both visible surface and (un)visible underlying structure. Developing this perception and application of drawing, in the familiar context of the human body, can shift and expand the way that drawing can be used to more broadly problem-solve, by providing descriptive strategy that uses drawing to appreciate, analyze and utilize elegant connections that link form to function. 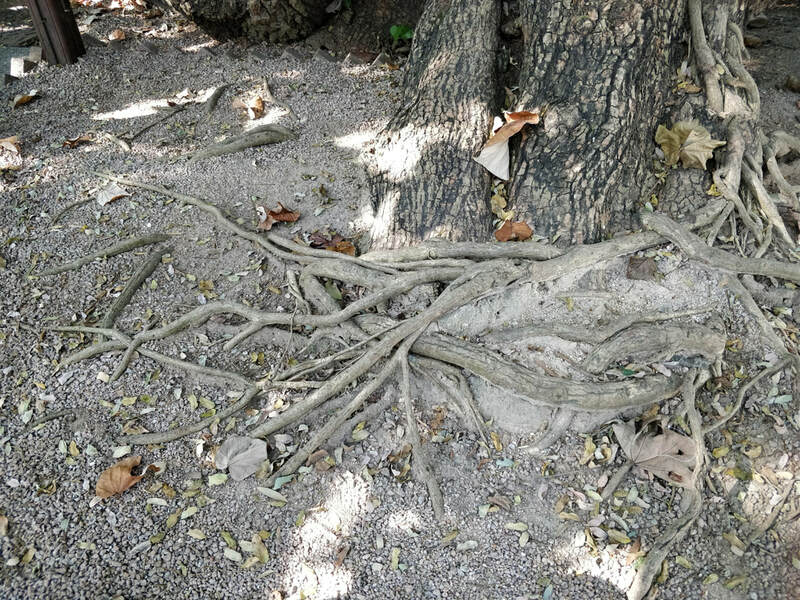 ​What is left outside of the picture and what is revealed? What is the relationship between prohibited and formed expression? 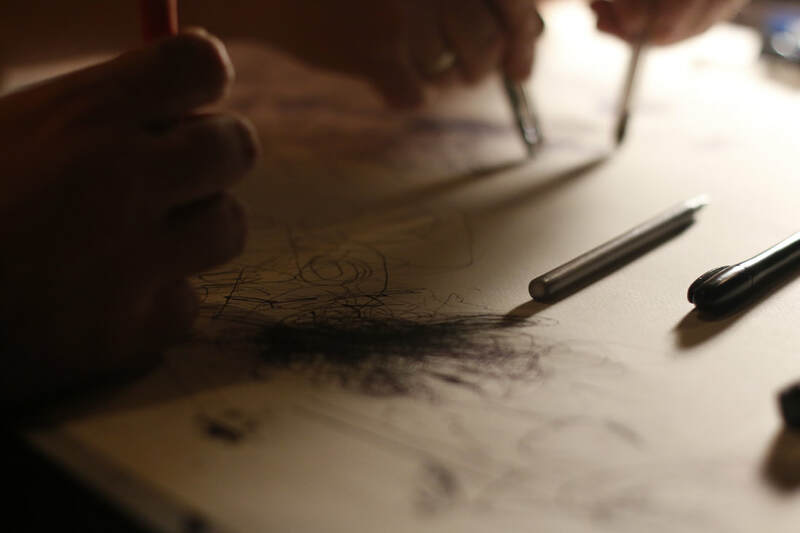 The workshop aims to reveal the discourse behind the act of drawing. It is not an art therapy session but a research-focused attempt to clarify individual's expressive goals. With small exercises, we raise the awareness of the notion of 'prohibited' and ask what it means to the participant. We will observe the discussion that happens in our group as well as our own presence in relation to the subject - how to deal with the prohibited and what does it mean to us? Camilla Brueton is an artist and arts professional. As the Postgraduate Community Manager, she creates a platform for cross-college and cross-disciplinary opportunities, events and networking for postgraduate taught and research students at UAL. 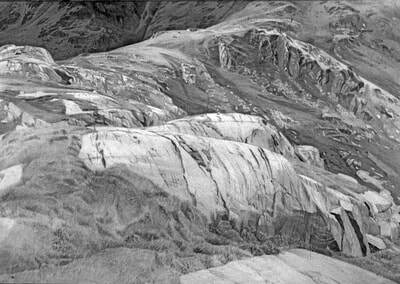 As an artist, she is curious about how place is made and experienced. 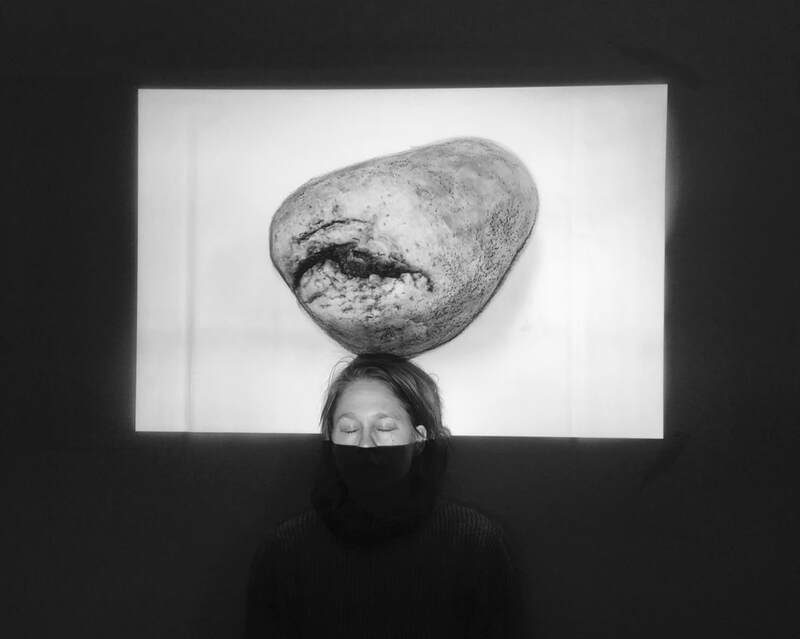 Her practice involves drawing, installation, writing and collaboration and has produced both creative and academic work that has been exhibited, published and performed. Rebecca Chamberlain studied for a foundation degree in Art and Design at the University of the Arts, London before moving into cognitive science. She completed her undergraduate and postgraduate studies in Experimental Psychology at University College London researching the psychology and neuroscience of representational drawing ability, before joining Professor Johan Wagemans’ lab at KU Leuven in Belgium as a postdoctoral researcher in 2013. Rebecca joined Goldsmiths, University of London, as a lecturer in 2017 and is co-director of the MSc in Psychology of the Arts, Neuroaesthetics and Creativity. Melissa M Button is a visual artist and Lecturer in Painting/Drawing at the Herberger Institute of Art and Design at Arizona State University. Button received her B.S in Architecture from Arizona State University in 1994 and an MFA in Drawing in 2001. Her research has always been rooted in the collaboration of opposing ideas and has revealed unique discoveries whereupon the amalgamation of these oppositions manifested something that is greater and more infinite than the sum of its parts. Early studies in architecture became the foundation for her interest in space and an awareness of constructed realities. The observation of something as real, is tenuous at best, as the perceptions from which we gather information are so easily coerced. Her recent work not only uses the collaboration of these conceptual ideas, but it also brings together a mix of processes that seeks to blur the boundaries beyond traditional labels. The final works become both image and object collaborating to continually reinvent the viewer’s observed reality. Recently, she was awarded the Glenfiddich Artist in Residence in Banffshire, Scotland to pursue 3 months of research during in 2018. She received 2 project grants that provided funding for collaborative exhibitions in China. 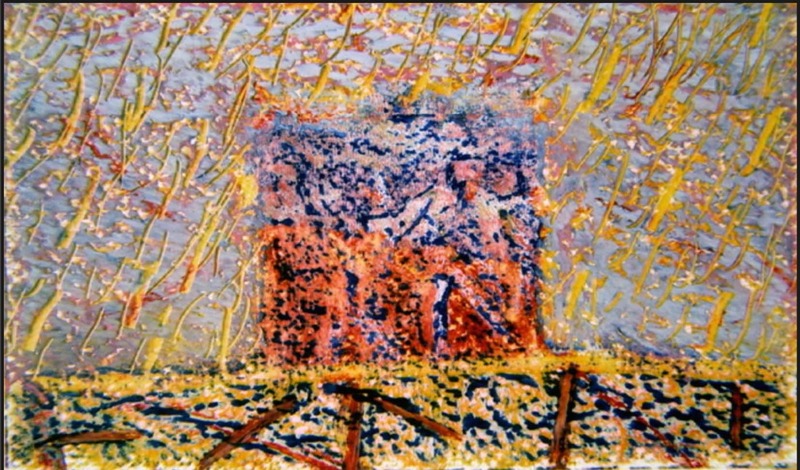 Her work has been published in the Superstition Review, American Artist, and New American Paintings. She has shown her work in the Micro Museum in Brooklyn, NY, the Museum of Contemporary Art in Fort Collins, CO, Mesa Contemporary Art Museum in Mesa, AZ, and the Bridge Gallery 798 District in Beijing, China among others. Heidi Hogden is a artist and Assistant Professor of Drawing at the Herberger Institute of Art and Design at Arizona State University. Hogden received her BFA from the Minneapolis College of Art and Design in 2009 and a MFA from the School of the Museum of Fine Arts in affiliation with Tufts University in 2012. Her research focuses on contemporary drawing, local environments, and autobiography as a form of storytelling. She specializes in graphite drawings that look to the natural world to understand the relationship between place and identity on a symbolic level. 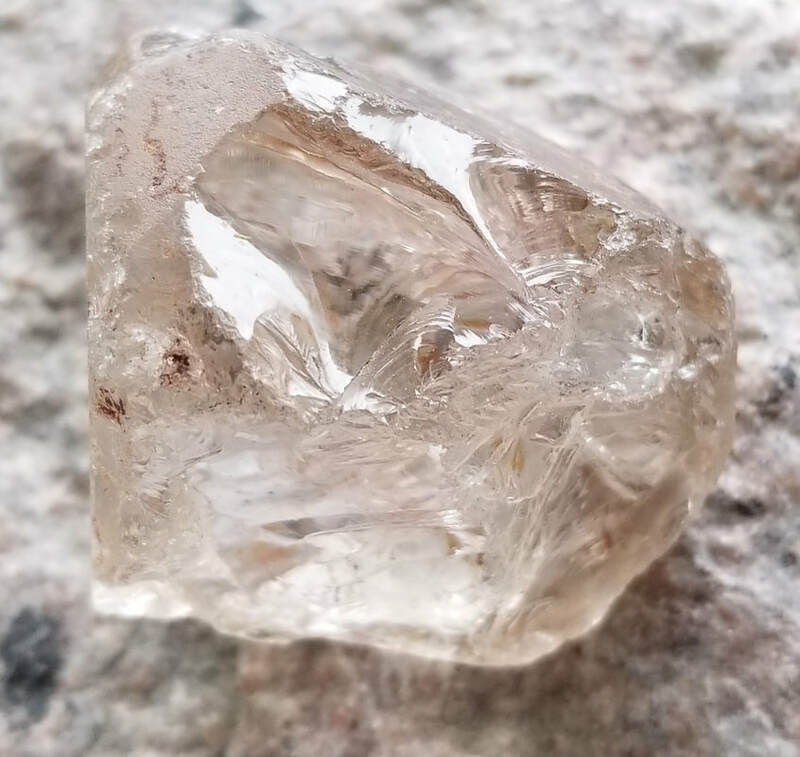 In 2018, Hogden received an Artist’s Grant to develop her creative work at Vermont Studio Center in Johnson, VT, and in 2015-17 she was the Artist-In-Residence at the Windgate Center for Art and Design in Little Rock, AR. Her work has been included in the 10th International Drawing Annual (INDA 10) from Manifest in Cincinati, OH, and Studio Visit Magazine from Open Studio Press in Boston, MA. 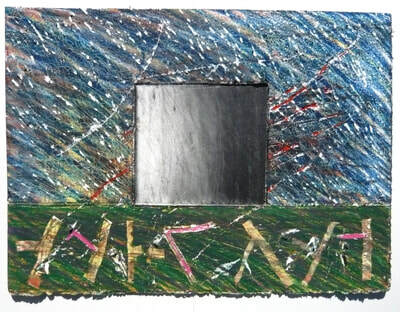 She has shown her work at the Museum of Fine Arts in Boston, MA, the South Dakota Art Museum in Brookings, SD, the Arkansas Art Center in Little Rock, AR, and the Federation Gallery in Vancouver, Canada, among others. Her exhibition record reflects both a dedication to drawing as a creative practice and an intellectual curiosity that connects the practice of drawing to larger fields of inquiry and engagement with community building projects. Michael Moore holds a BFA degree in Printmaking from Syracuse University and an MFA degree in Drawing from the University of Washington. 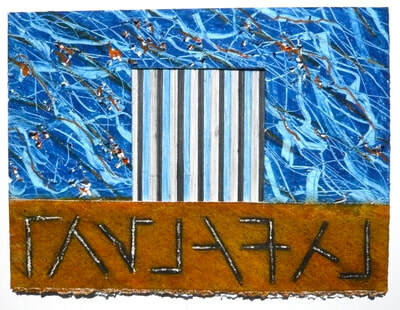 He studied Inuit carvings in Churchill, Manitoba in 1975. He traveled to Japan in 1988 and 2001, and to China in 2001. He taught at the University of Southern Maine, 1967-1992, the Callendar Park College of Education, Falkirk, Scotland, 1972/73. Michael taught Graduate Drawing at The Pennsylvania Academy of the Fine Arts in Philadelphia from 1992-2017. 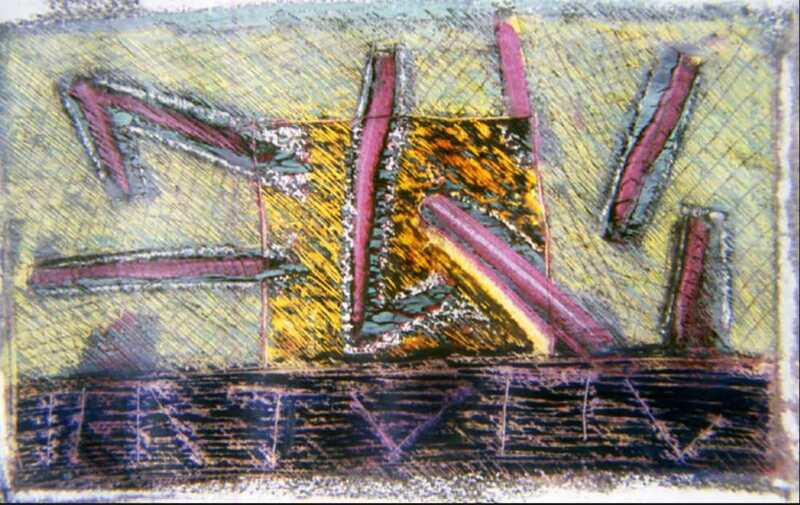 He taught twelve drawing workshops at The Haystack Mountain School of Crafts, 1985-2012. 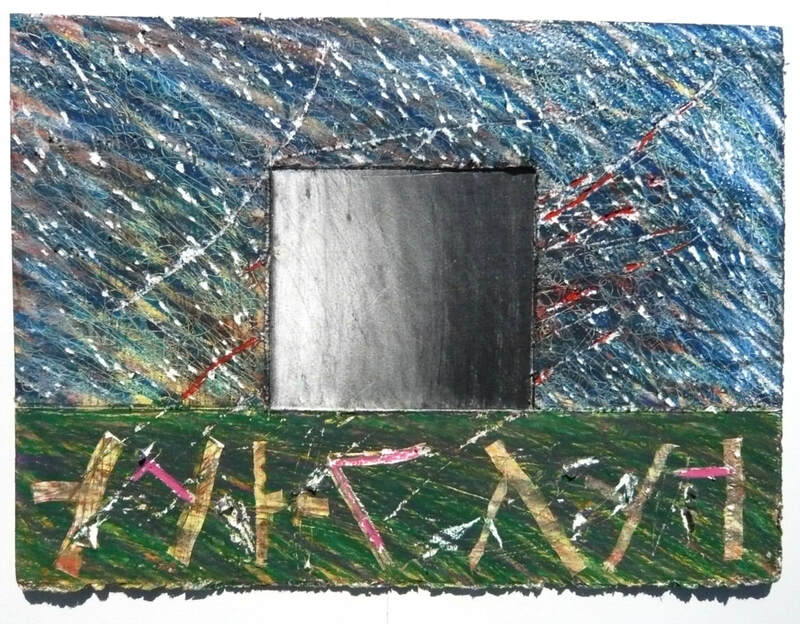 Michael maintains studios in Philadelphia and Maine and has exhibited his work in a variety of solo, group, and faculty exhibitions during the past 45 years. His web site is drawingdrawings.com and his blog is drawtodraw.com. ​Riina Näsi is a Finnish artist and art teacher. She is studying for Master´s programme in art education at Aalto University. In her research she is focusing on violence in artistic expression and didactic questions around the subject. Emily Sheehan received her BA from the College of Saint Benedict in 2005 and continued her education to receive an M.F.A in Visual Studies, with a specialization in Drawing and Sculpture from the Minneapolis College of Art and Design (MCAD) in 2008. Since 2014 Emily has held the position of Assistant Professor of Fine Art and Drawing Area Head at Indiana University Southeast. Emily’s artistic practice/research utilizes perceptual drawing (drawing from observation in a multi-sensory way) to explore the way marks left on a page become evidence of lived experience. Emily uses both traditional and nontraditional drawing materials, and techniques, to create works that provoke both herself and the viewer to linger in the human space between encounter and recounting where we make our world personal. 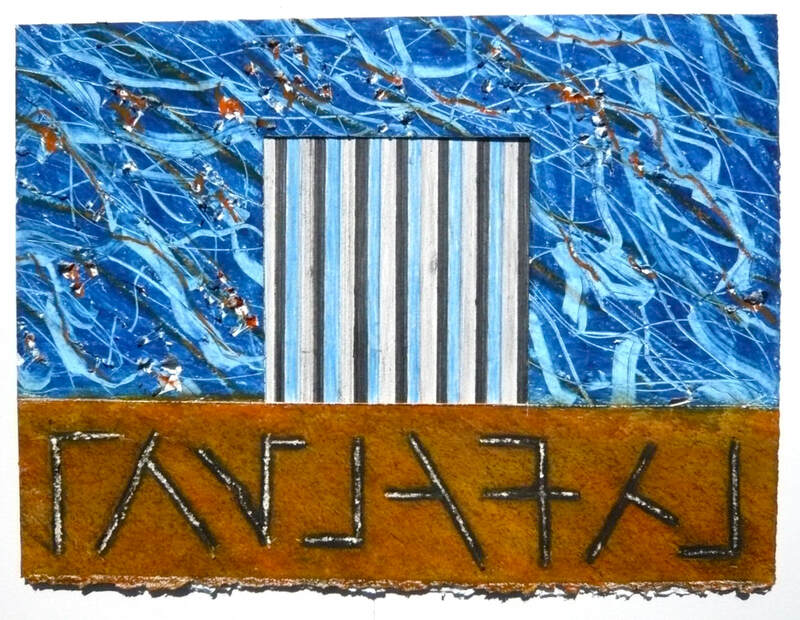 Emily’s work has been exhibited nationally, in group, invitational, and juried exhibitions. Emily’s pieces included are included the private collections of The Weismann art Museum and the Target Corporation. His drawings have been exhibited in Australia, Malaysia, Finland, Serbia, the USA and the UK. Riley recently retired as Professor of Visual Communication and Head of the School of Research & Postgraduate Studies (2004-2014) at the Swansea College of Art, University of Wales Trinity St David, Wales, UK. Currently he is Tutor at the Classical Education Forum, Cardiff. Seymour Simmons, III, is a Professor of Fine Arts emeritus at Winthrop University, Rock Hill, SC, where he taught art education and studio art, primarily drawing. Prior to moving to South Carolina, He taught art education and drawing at Massachusetts College of Art and did research at Harvard Project Zero. 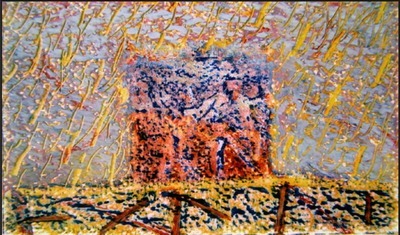 He holds a Bachelor of Fine Arts in printmaking from Colorado State University, as well as M. Ed. and Ed.D. degrees from Harvard. His most recent research project involved creating a series of instructional drawing videos to develop visual imagination. He is currently writing a book on the theory and practice of drawing instruction. His art focuses on figurative drawing and landscapes in watercolor. Barbara Tversky is a Professor Emerita of Psychology at Stanford University and a Professor of Psychology and Education at Teachers College, Columbia University. Tversky specialises in cognitive psychology. She is a leading authority in the areas of visual-spatial reasoning and collaborative cognition. Tversky's additional research interests include language and communication, comprehension of events and narratives, and the mapping and modeling of cognitive processes. Barbara received a B.A. in Psychology from the University of Michigan in 1963 and a Ph.D. in Psychology from the University of Michigan in 1969. She has served on the faculty of Stanford University since 1977 and of Teachers College, Columbia University since 2005. She was named a Fellow of the American Psychological Society in 1995, the Cognitive Science Society in 2002, and the Society of Experimental Psychology in 2004. In 1999, she received the Phi Beta Kappa Excellence in Teaching Award. Tversky is an active and well-regarded teacher of psychology courses at both the introductory and advanced level. In addition, Tversky has served on the editorial boards of multiple prominent academic journals, including Psychological Research (1976-1984), the Journal of Experimental Psychology: Learning, Memory and Cognition (1976-1982), the Journal of Experimental Psychology: General (1982-1988), Memory and Cognition (1989-2001), and Cognitive Psychology (1995-2002). 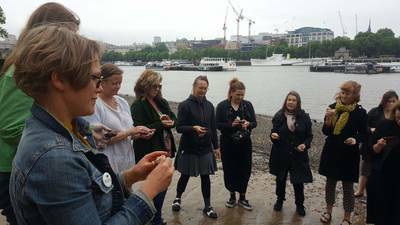 DRAW is a postgraduate reading group at UAL, University of the Arts London, focusing on interdisciplinary approaches to drawing. Coming out of the Centre for Drawing at Wimbledon, led by Tania Kovats (MA Drawing Course Leader) and coordinated by Camilla Brueton (UAL Postgraduate Community Manager), over the past 2 years DRAW has hosted a variety of events with speakers from across the arts talking about drawing in relation to their work. From fashion illustration to the history of drawing within architecture, an analogue photocopier as a tool for drawing in graphic design to the role of drawing in surgery, how analogue drawings changed our perception of the world and now digital drawings exist online, ebbing and flowing in real time. Over the past 2 years DRAW has expanded knowledge and discussions around what drawing can be and the interdisciplinary relationship between drawing and practice. Taking a broad approach to what a ‘reading group’ encompasses – interpreting it as a ‘reading of a subject’, provocations have included text, exhibitions and You-tube clips. DRAW events have been open to all UAL Postgraduate Students, UAL staff, as well as a wider community of invited alumni, practitioners and researchers in the field. Apologies - these presenters were unable to attend, but we hope to host their workshops in the near future. Contribution to Thinking Through Drawing Symposium, ‘DRAWING ROCKS! What is Drawing Good For? BFI, Southbank, London, 5-6 June 2018. The acquisition of such non-propositional knowledge – experiential understanding – is an example of what drawing can be good for. Recent research (Pike et al. 2012) posited that members of our species Homo Sapiens (or, the authors mooted, were they Neanderthals?) had been making drawings on rocks in the caves of northern Spain 41,000 years ago, 4000 years earlier than previously thought (Halverson 1992). However, research by the same team published in February this year (Hoffman et al. 2018) now dates some of those cave drawings to c.65,000 years ago, placing them firmly within the Neanderthal period, and dramatically closer to the development of speech as a codified means of communication, estimated as between 70,000 and 100,000 years ago by William Noble and Iain Davidson (1996: 217). to perceive the gesture as having a meaning, as being referential. of meaningful (iconic) tracing is the essential first step. (My italics). The recognition that a trace resembles some aspect of the real object to which it refers allows the possibility of experimenting with the act of tracing. Through prolonged practice, a further insight arises from the recognition of depiction as depiction: that meaning might be attributed to something which does not resemble the object to which it refers; a sign which is not iconic, but quite arbitrary, a symbol. This leads to the concept of a conventional code, and opens up the possibilities of languages, where quite arbitrary sounds, gestures or marks are assigned specific meanings with the agreement of the community. Davidson and Noble (1989) strongly support the argument that depiction is the essential first step towards written language. This is the overwhelming importance that the making of images has in human cultural history. Here is a series of drawings exploring the argument that our drive for making images facilitated the emergence of writing via our innate capacity for structuring, so as to make order out of chaos, meaning out of matter. Figure 4 Howard Riley Drawing Precedes Writing 2. Oil pastel on 180gsm cartridge paper, A5 size. Figure 5 Howard Riley Drawing Over Writing 1. Oil pastel, graphite, charcoal and pencil on Saunders Waterford 300gsm paper, A3 size. Figure 6 Howard Riley Drawing Over Writing 5. Oil pastel, graphite, charcoal and pencil on Saunders Waterford 300gsm paper, A3 size. The theme, Drawing Precedes Writing, explores a movement from chaos to order: a visual equivalent for such movement may be depicted through a familiar Western convention of picture-making; the shift from a distant background (the upper portion of the picture-plane) through a middle ground comprising a central square with complex layering, to a foreground (the lower portion of the picture-plane). When the viewer engages with each of these drawings in more detail, then a pattern emerges which is common to all: the central position of the square, resting on a horizontal line effectively dividing background from foreground, connotes physical stability and epitomises visual balance. Metaphorically, the square offers interpretation as representing the dependability of our innate structuring capacity; through this constant compositional structure, the variety of transformative changes from chaos to order is implied in each of the drawings. Language itself appears to have emerged from a background world of visual ambiguity, via our innate capacity for structuring chaos into order, and has permeated our observations of the material world to such an extent that the two have become one. Language is the filter through which we perceive the world, it becomes transparent, interwoven with our perception of the fabric of the material world, yet its visible form – writing - remains forever arbitrary, forever open to negotiation. Thus, drawing affords –reveals - understanding, it is a source of knowledge, and a language through which knowledge is shared. We have a word for being articulate with words: literacy. We have a word for being articulate with numbers: numeracy. But no widely-accepted word for an articulacy with images. The three R’s, Reading, wRiting and aRithmetic, are generally agreed to stand for the important educational priorities of literacy and numeracy. However, wRiting itself is implicit evidence of another faculty of educational value: our ability to inscribe marks upon a surface so as to make meaningful representations of our experiences visible to others. It may be argued that the centrality of wRiting within the familiar mantra has usurped the cultural importance of that other faculty for which there is no name. I first tentatively proposed visualcy 1 some time ago as being appropriate (Riley 2002: 150), and since then my case for such an invented term has been strengthened by W.J.T. Mitchell’s (2008: 11) advocacy. The neologism refers to the distinct capacity of the human mind that Bruce Archer identified as “analogous with the language capacity and the mathematical capacity for cognitive modelling” (Archer and Roberts, 1979). Deanna Petherbridge (1991) has commented that “Drawing is the primal means of symbolic communication, which predates and embraces writing, and functions as a tool of conceptualisation parallel with language”. In the wake of such authorities, a more balanced and coherent version of the three R’s may be proposed: Reading, Routing, and ‘Rithmetic. According to the Oxford English Dictionary, to rout means ‘to cut a groove in a surface’. A router is ‘one who routs out or draws forth’. These are venerable words, redolent of a pre-industrialised era. However, here they are revitalised, to remind us of the hand/eye co-ordination essential to much material cultural production even in this digital age of the twenty-first century, and to remind us that the language of drawing facilitates the uniquely-human aspiration to share through visual communication our physical, emotional and spiritual experiences of the world. Drawing rocks! Note 1 James Elkins (2008:1-2) notes the term “…visual literacy has been in uncommon but intermittent use for over a hundred and fifty years” and reports a definition as “understanding how people perceive objects, interpret what they see, and what they learn from them.” My neologism, visualcy, embraces not only this sense of understanding, but also the facility for producing the means to understanding through the articulation of visual elements in the construction of images. This more pro-active definition is in line with Cheryl Lemke’s (2003: 15) acknowledgement of the demands of the expanded field of the digital age: visual literacy is described as “The ability to interpret, use, appreciate and create images and video using both conventional and 21st century media in ways that advance thinking, decision making, communication, and learning.” Ways of nurturing this ability, which I have described as an ‘intelligence of seeing’, are offered in Riley (2008) and Rankin, Riley (et al. 2017). Studies in Design Education, Craft and Technology, 12(1), p55. Elkins, J. (ed.) 2008 Visual Literacy, New York and Abingdon, Oxon: Routledge. Goodman, N. 1978 Ways of Worldmaking, Indianapolis: Hackett. 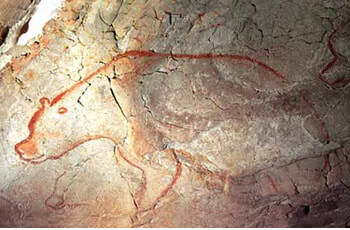 Crusts reveals Neanderthal Origin of Iberian Cave Art, Science 359: 6378, pp912-915. Lemke, C. 2003 enGauge 21st Century Skills: Literacy in the Digital Age, Naperville, ILL: North Central Regional Educational Laboratory (NCREL). Mitchell, W.J.T. 2008 Visual Literacy or Literary Visualcy?, in Elkins, J. (ed.) Visual Literacy, New York and Abingdon, Oxon: Routledge, pp11-29. Newell, R.A. 2005 Landscape Painting: Redundant Genre or Viable Practice? PhD Thesis, University of Wales. Noble, W. and Davidson, I. 1996 Human Evolution, Language and Mind, Cambridge: Cambridge U.P. Series Dating of Paleolithic Art in 11 Caves in Spain, Science, 336: 6087, pp1409-1413. Students, The International Journal of Art & Design Education, 3(3), pp273-280. https://sites.utexas.edu/dsb/tokens/the-evolution-of-writing/ (Accessed 7 January 2018).